The Salvation Army is a worldwide church and registered charity in 127 countries offering unconditional friendship, and practical help to people of all ages, backgrounds and needs. 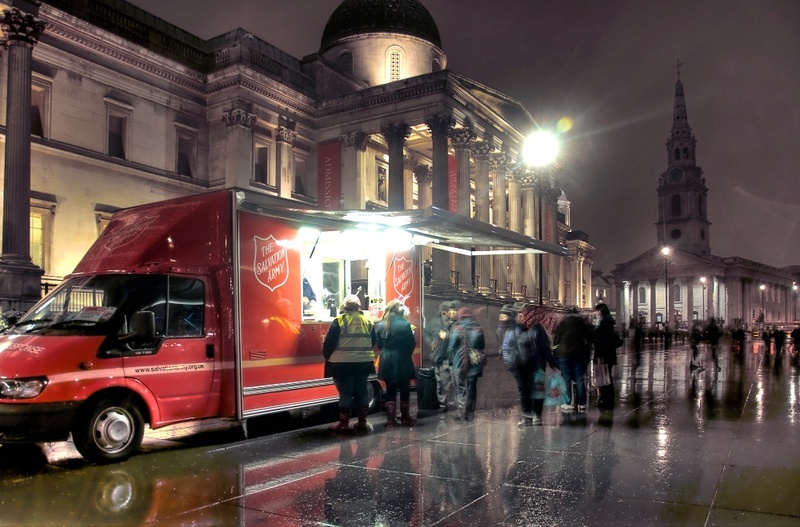 Extending a helping hand to those who are homeless, friendless and in need, The Salvation Army passionately believes that no one is beyond hope, however great their problems. Registered Charity Nos. 214779, 215174 and in Scotland SC009359, SC037691.